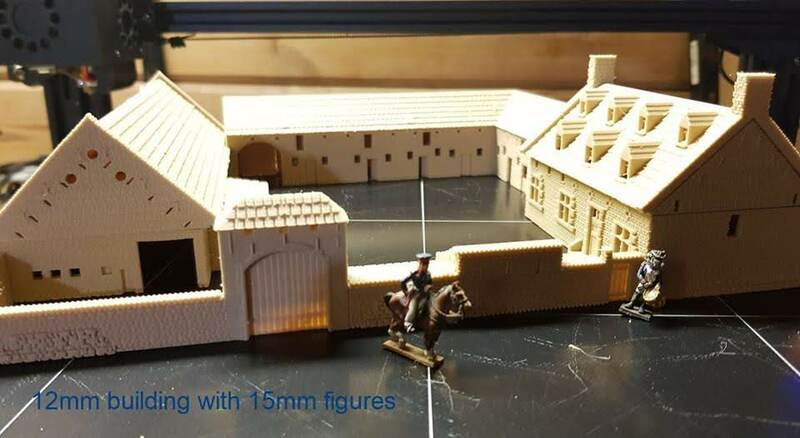 La Haye Sainte printed in a couple of scales. The 15mm is really huge (but in scale). 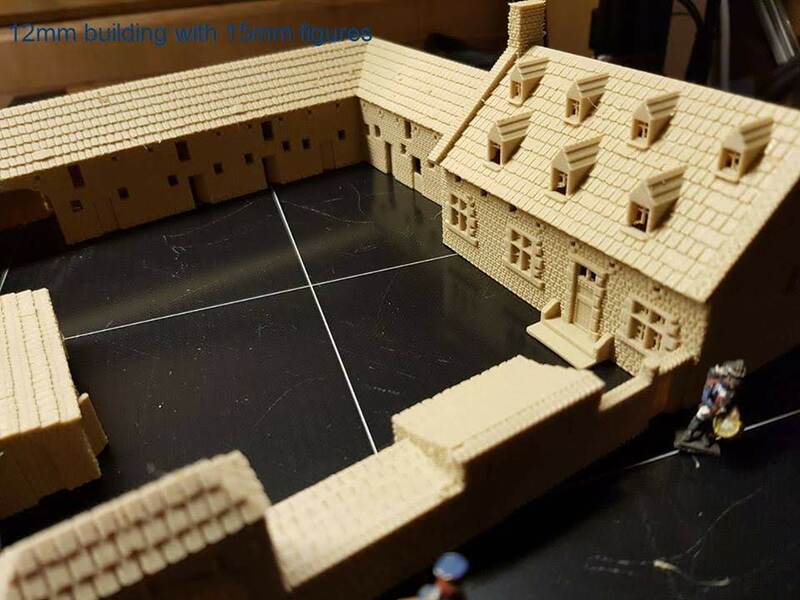 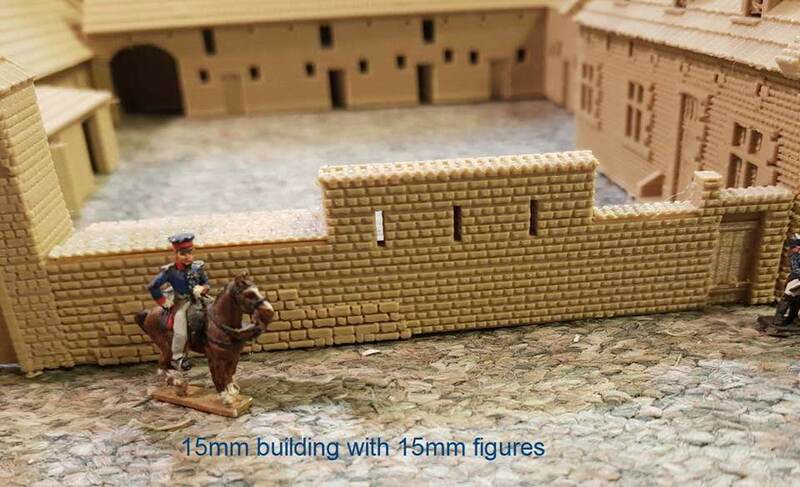 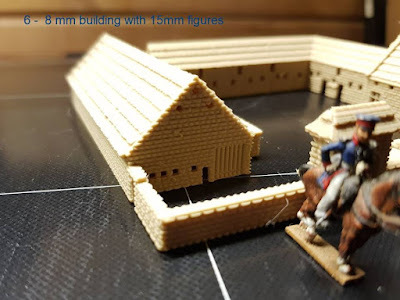 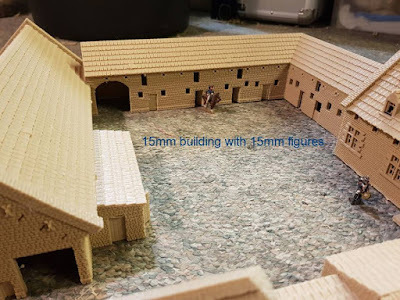 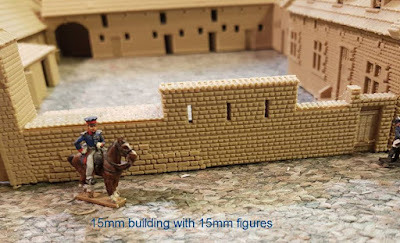 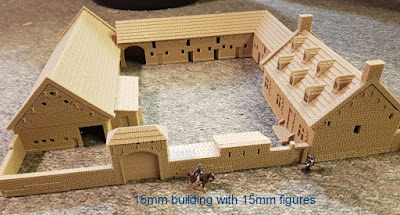 For wargaming, to have a small footprint, you can print it as 12mm building. 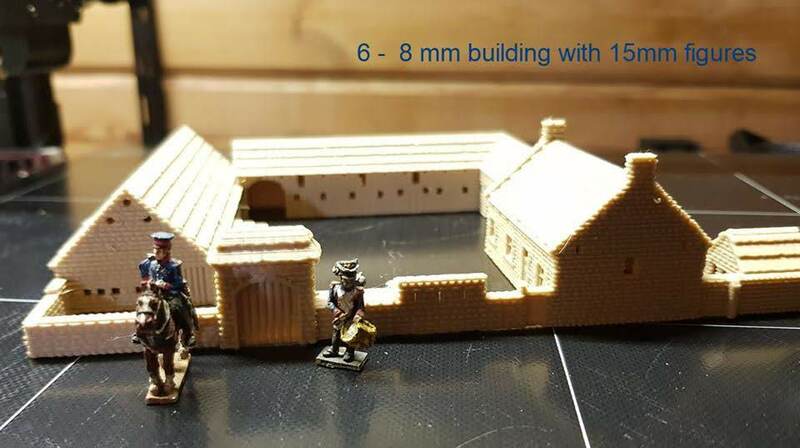 But in the summary, I am happy with La Haye Sainte. 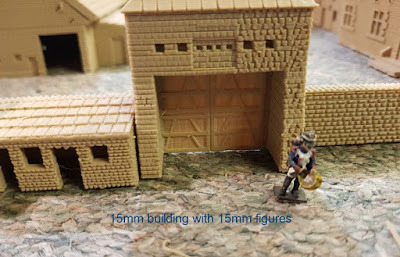 Unfortunately I have no 6mm and 10-12mm figures. So to compare I put always 15mm to the model.